Similar to various gastroenteropancreatic (GEP) neuroendocrine tumors (NETs), somatostatin receptors (SSTRs) are overexpressed in a wide array of malignant and benign conditions. Using somatostatin positron emission tomography (PET) analogs ([68Ga]DOTA-peptides) this overexpression of SSTRs can be exploited for clinical management in terms of diagnosis, therapy, and for peptide receptor radionuclide therapy (PRRT). Recent reports suggest that [68Ga]DOTA-peptide PET tracers have an emerging role in the management of wide array of non-GEP-NETs due to overexpression of SSTRs. The potential role of SSTR-PET imaging in the management of medullary thyroid cancer, paraganglioma, Merkel cell carcinoma, phosphaturic mesenchymal tumors, and inflammation will be discussed. The emerging role of theranostic and personalized medicine with PRRT using peptides labeled with yttrium-90 (90Y) or lutetium-177 (177Lu) beta emitters will also be discussed. SSTR-PET imaging with [68Ga]DOTA-peptides has utility in malignant and benign conditions other than GEP-NETs. 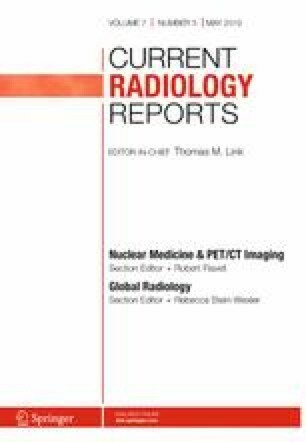 Combining SSTR-PET with other anatomic and functional imaging modalities has demonstrated superior diagnostic accuracy. The presence of SSTRs in these conditions opens up new possibilities in the management of these conditions in terms of imaging and therapeutics. Gagandeep Choudhary declares no potential conflicts of interest. Samuel Galgano reports research support from Advanced Accelerator Applications.